Lately more and more of my beauty products are being replaced with bio oils. The new generation oils are multi-tasking, fast absorbing and so effective it’s difficult to imagine how you lived without them. The products I’m showing you today aren’t exactly the newest but those that have proved their effectivity over the last 3 years or so. 1. Bio Oil. 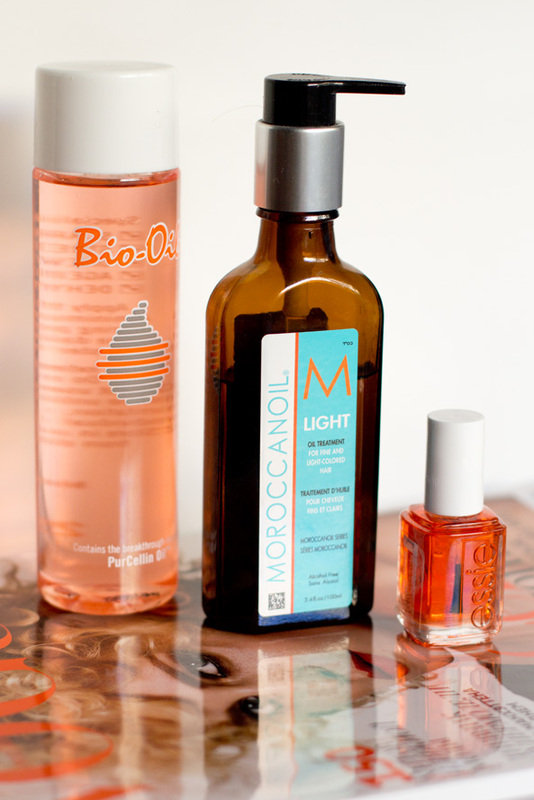 Recently, Tine asked me about my best travelling beauty product and without even thinking I answered Bio Oil. It’s perfect for dry skin and it visibly improves skin condition. Not to mention it was my saviour during pregnancy. Being prone to stretch marks I thought that’d be the end of my bikini days but I got zero marks during pregnancy. All thanks to Bio Oil. You can read more about it’s magic in this post. I must add it didn’t quite make my old marks disappear but it definitely helped prevent any new ones. You can get Bio Oil here or in Australia, in Priceline. 2. Moroccan Oil. Ever since I tried Moroccan for the first time in 2011, I haven’t stopped using it. It’s easy to use and it makes your hair full, shiny and easy to comb. I wrote about it in this post a while ago. I use it on beach trips to protect my hair where it also doubles as a hair styling product. Instead of washing, drying-styling my hair every evening I’d just put 5-10 drops of Moroccan Oil all over my hair and make a little pony tail. It was a minimalist look I sported recently when travelling through Greece. 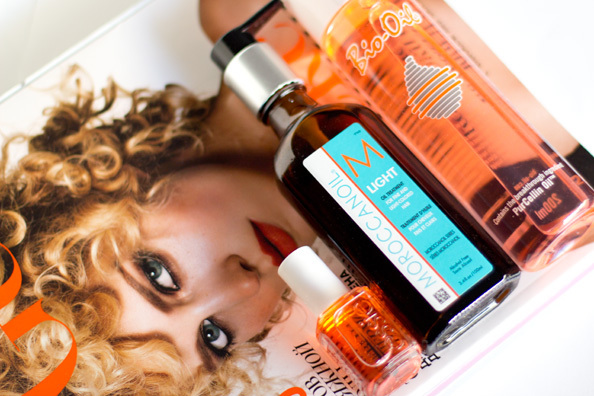 MoroccanOil Light available here. 3. Essie Apricot Oil. It’s a recent obsession of mine. Due to my SoNailcious duties I’m going through enormous amount of different nail products and the one that won my heart was Essie Apricot Oil. It smells divine, makes your nails grow stronger and makes your cuticles look picture perfect. You can get Essie Apricot Oil here or in Australia, in Priceline. What about you ladies? 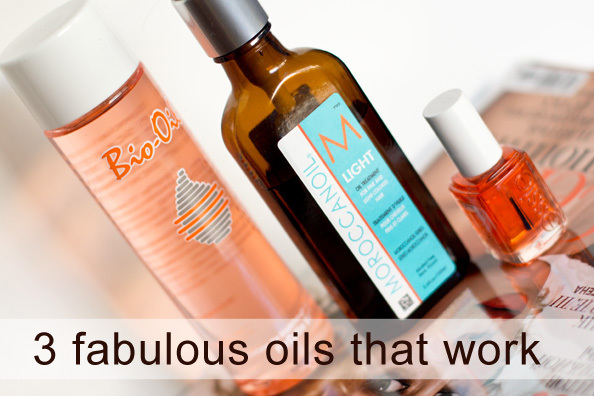 Do you use any oils in your beauty routine? What are your favourites? Essie Apricot oil is amazing for cuticles and strong nails! And, it smells divine! I also love bio oil, for its multi tasking abilities and to heal. I like cleansing oils at the moment. Melts off everything from the face in moments. Yes, cleansing oils are quite nice too! I’ve tried Clarins and it’s great for removing make-up!